Earlier this year Shoprite launched a new corporate TV advert that tells the story of a promise the brand made 40 years ago: to lower prices for consumers. In celebration of this campaign, Shoprite invited its customers to submit a promise, to make a difference which, if selected, Shoprite will assist the individual in keeping. 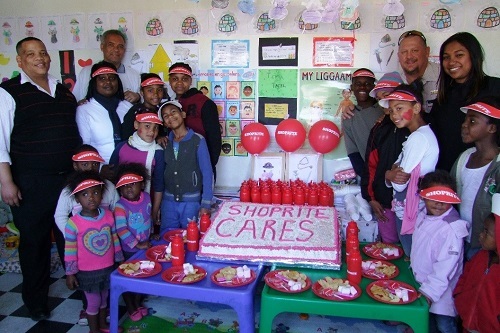 On Wednesday 7 October 2015, Shoprite honoured this promise it had made to its customers during a festive handover ceremony complete with cake, chips, juice and balloons. 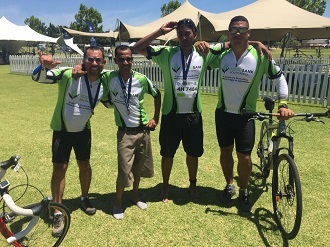 The selected promise, from the Eagles Nest Learning and Development Institute in Grabouw, a registered aftercare facility, is to feed the 80 children who attend its “Kids’ Club” every Friday. Shoprite will assist the crèche by purchasing 76 meal packs from FoodBank SA which translates into 4 160 nutritious meals. ”The FoodBank SA meal pack is a new and exciting initiative for us as an organisation and we thank Shoprite for their support” said Neil Davidson National Operation Manager at FoodBank SA “We hope that this trend will catch on and more companies will buy our meal packs in support of organisations such as Eagles Nest Learning and Development Institute”. Furthermore on Tuesday 13 October, Shoprite donated 769 kilograms of food to FoodBank SA as part of their World Food Day contribution. 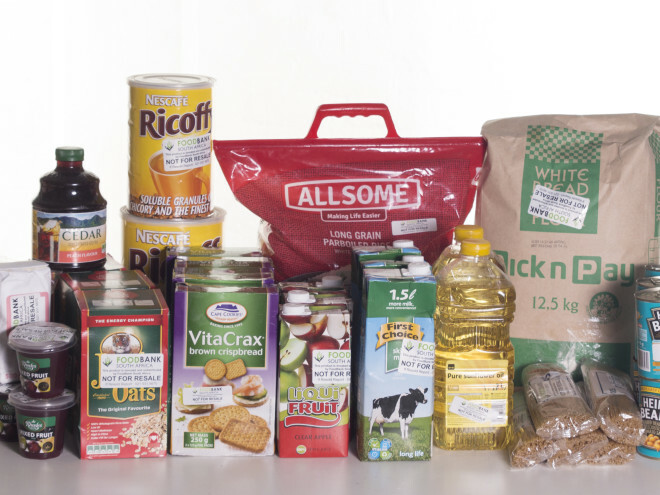 This food will help FoodBank SA reach even more hungry South Africans this World Food Day! Thank you to Shoprite for keeping their promise!